Hobby DIY Electronics - Do it Yourself Ideas. 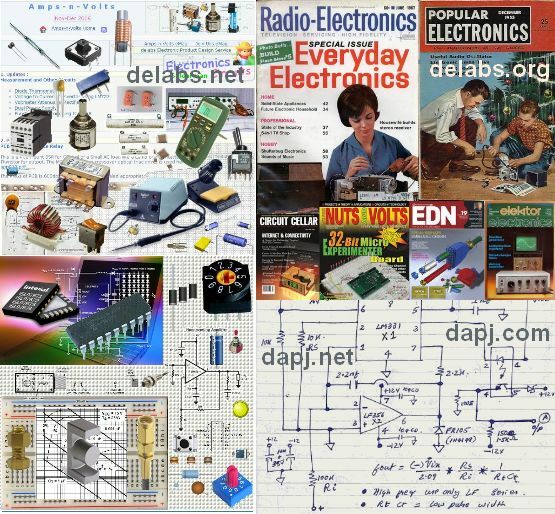 delabs Schematics - Circuits and Diagrams. Quite a few are generic circuit designs and reference designs for the educational sections. 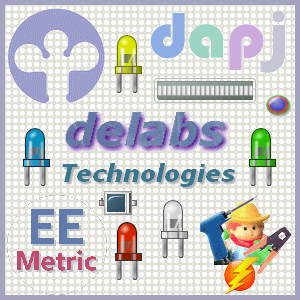 delabs Technologies - Technology and EE Design. Hobby Hound - Hobby, DIY Projects. Circuit Design Gopher - Product Design. Semiconductor Devices - Diode, IC, Chips. Schematics of delabs - Circuit Diagrams. Soldermans Basics - Practical Electronics. Circuits FAQ - Electronics Design Notes. Electronic Components - Parts, Instruments. Industrial Electronics - Tech EE Products. Power Electronics - Power Supplies. Embedded Processor - Microcontroller, SOC. Web Computing - Internet Devices. Electronic Parts - Components & Materials. EE Design Library - Electronic Design. Anwheel Industrials - Process Control. EEMetric Instruments - Test Measurement.